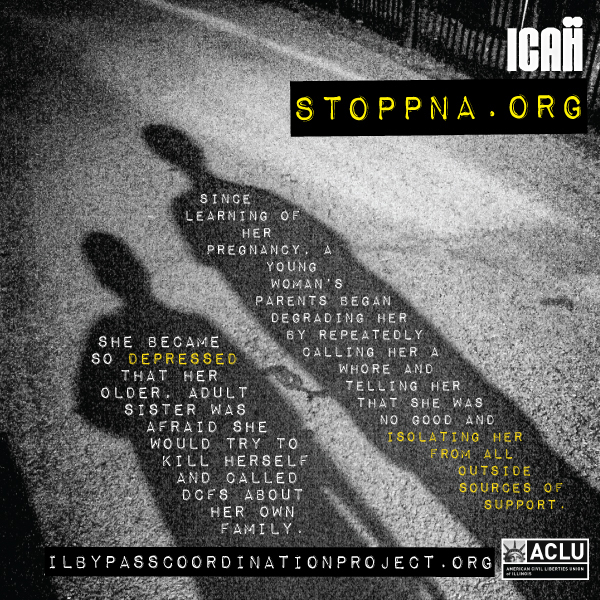 The much older adult sister of a pregnant youth disclosed to a clinic that since learning of her sister’s pregnancy, her parents had engaged in a prolonged period of degrading her sister (by, for example, repeatedly calling her a whore and telling her that she was no good) and isolating her from all outside sources of support. As a result, the pregnant youth became so depressed the sister was seriously afraid that the pregnant youth would try to kill herself. The older sister thought that the situation was so dire that, after talking to clinic staff, she called DCFS about her own family.